20 sq. 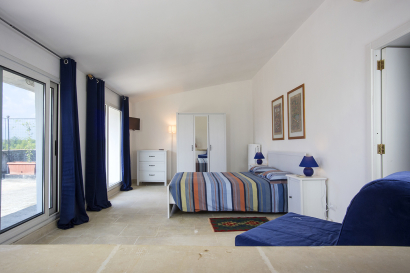 metre room, panoramic garden view, shared bathroom, jacuzzi From €60 (€40 single)*Family package offer possible. 25 sq. metre room on mezzanine floor, panoramic garden view, shared bathroom, jacuzzi. From €55 (€35 single)*Family package offer possible.